A disturbing new study points to a dangerous trend: more people are committing medication errors at home, and the trend is rising. The study found that “serious medical outcomes” from self-administered medication errors doubled from 3,065 in 2000 to 6,855 in 2012. 414 people died in the 13-year span and 67,000 errors of varying seriousness were recorded in total. The conclusion asserts “most” of these errors are preventable. The FDA estimates that in the US, injuries caused by medication errors, both in healthcare and non-healthcare settings, totals to 1.3 million each year and one death every day. 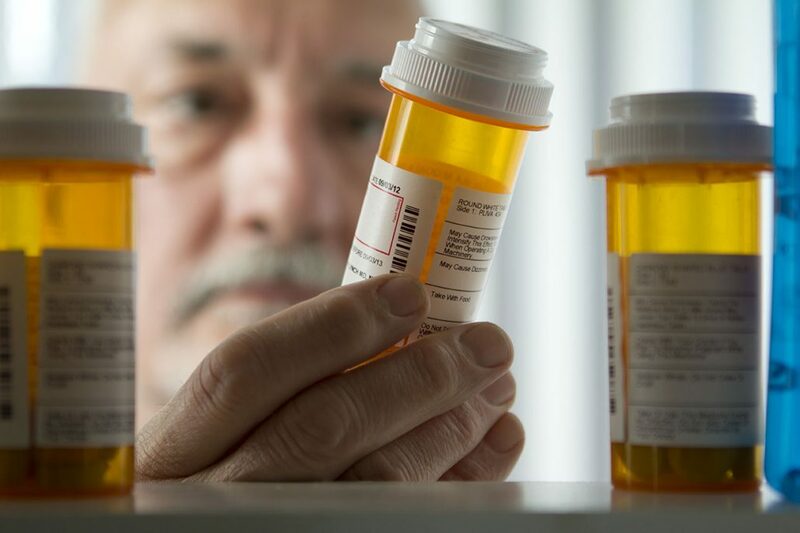 Around the same time NPR covered the story, STAT News released an opinion piece that strongly advocates for updating the labels on many prescriptions. The article claims unintended consequences of drugs develop overtime and with new populations, but what’s written on the bottle or box commonly lags far behind these new findings. Yet, on top of all of this, New York-based startup Care/of has been quietly raising mountains of venture capital for their Blue Apron-style supplement delivery system. Receiving $12m in Series A funding, Care/of administers an online questionnaire that identifies the areas your body that might need support, creates a tailored supplement package for you, and delivers it to your doorstep. More importantly, the packaging is slick, and without distractions. The instructions are clear and easy to read, and each package comes with a pamphlet summary that explains what each pill is, what’s in it, and its intended effect. For many, the service can cost less than $10 a week. Of course, it isn’t that simple for non-OTC meds and complex prescription medications. Considerations like potential side-effects, dietary restrictions, tougher dosage instructions — and more all at times need to be crammed into a square on a small box or bottle. But the important bottom line stands: the healthcare sector and larger pharmaceutical companies should take cues from our startup cultures. Successful startups today blow up and spread like wildfire due to their accessibility. They are designed, inherently, to cause as little friction as possible. Glasses can be tried on in your own bathroom and sent back, at no charge. You can have a stranger pull their car up to your doorstep, no questions asked, at the click of a button. Dinner? It comes in a box, with instructions and exact proportions–animal proteins absent if you mark “vegetarian” on your profile. All clutter is cut out, the user experience is considered. Convenience is leveraged as competitive advantage. Yet, if you’re a 50-year-old in need of Aleve, you’re still beholden to the dosage instructions for a 5-year-old, next to product ingredients fit for a PhD. We should hope big pharma finds a way to keep the core of a product artfully separate from the confusing extras–the fine print and scientific nomenclature, for example. Conscious efforts to skinny down and simplify the odds-and-ends of OTC or perhaps even prescription meds will be a surefire way to have constituents trusting the industry a little more. Consumers can’t trust something they don’t understand. August 23, 2017 /0 Comments/by MaXas3! Wearing, Caring and Community Involvement Win Big in Cannes Never-Ending Debate About AMA’s Sunshine Approach to Drug Prices?